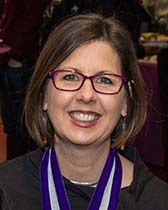 Wendy Wall (Avalon Professor of the Humanities and Professor of English and Charles Deering McCormick Professor of Teaching Excellence) teaches and undertakes research on Renaissance literature and culture. She has published articles on topics as wide-ranging as editorial theory, gender, poetry, national identity, authorship, Shakespeare, food studies, domesticity, theatrical practice, women's writing, and Jell-O. Author of Recipes for Thought: Knowledge and Taste in the Early Modern English Kitchen (2015), The Imprint of Gender: Authorship and Publication in the English Renaissance (1993), and Staging Domesticity: Household Work and English Identity in Early Modern Drama (2002), Professor Wall has served as co-editor of Renaissance Drama and president of the Shakespeare Association of America. When not at work on a digital, open access edition of the amazing poems of Renaissance writer Hester Pulter (entitled The Pulter Project), she enjoys participating in public humanities programs, working with organizations such as the Chicago Shakespeare Theater and the Prison Neighborhood Arts Program. 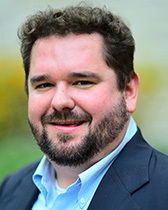 Contact Tom for questions regarding the Kaplan Humanities Scholars Program, Artist in Residence program, the Odyssey Project, the Chicago Humanities Festival's Morris and Dolores Kohl Kaplan Northwestern Day, Humanities Minor, the Faculty Fellowship program, graduate assistantships and the Humanities Plunge. Contact Megan for questions regarding Kaplan seminar room reservations, the Dialogue Series, Hot Off the Press, Kaplan Institute Lunch Colloquia (Kaplan Conversations), Research Workshops, the Dissertation Forum, and undergraduate project prize. Jill Mannor has a background in graphic design, marketing, advertising and development. In the non-profit world, she worked to develop the capabilities, audience and culture of Chicago Children’s Museum, Kohl Children’s Museum, Lincoln Park Zoo and Imagine Chicago. In the agency space, she managed projects and creative teams for clients in cultural/arts, microfinance and higher education. 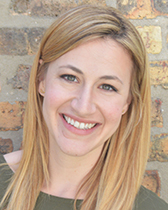 Jill is a board member of The Seldoms, a Chicago dance company whose performances explore pressing social, political, and environmental issues. Her volunteer work has included EPIC: Engaging Philanthropy, Inspiring Creatives; North Park Village Nature Center; Sit Stay Read and the Illinois Safe Schools Alliance. Jill received a B.A. in English from Hope College. 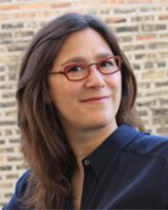 Contact Jill for questions regarding Co-sponsorships, Evanston Northwestern Humanities Lecture Series, public humanities initiatives, Franke Undergraduate and Graduate Fellowships, Undergraduate Curriculum, and media requests. 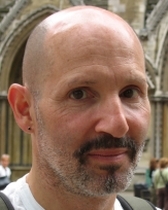 Jules Law, Professor of English and Comparative Literary Studies, is a specialist in literary theory and Victorian literature. His various essays on Derrida, Joyce, Wittgenstein, and other theoretical topics have appeared in PMLA, Critical Inquiry, SIGNS, New Literary History, and other journals. He is the author of The Rhetoric of Empiricism (Cornell, 1993) and The Social Life of Fluids: Blood, Milk, and Water in the Victorian Novel (Cornell, 2010). Essays from his current book project, Virtual Victorians: Technologies of Immediation in the Nineteenth-Century Novel, have appeared in ELH, Nineteenth Century Literature, and Novel: A Forum on Fiction. He has received numerous teaching and public-service awards including the Charles Deering McCormick Professorship of Teaching (2007) and the Centro Romero Community Leadership award (2008). Emily Lane is a PhD candidate (ABD) in Musicology, holding a MM in Musicology from Northwestern and a BM with Honors in Vocal Performance from Miami University of Ohio. Emily’s research concentrates on mid-20th century American Hollywood media, radio, and musical performance through interdisciplinary scholarship in sound studies. Focusing on adaptations of the film musical to radio, her dissertation investigates the spectacle of the Hollywood musical tradition within an aural media. In 2016, Emily attended the Summer Institute in Cologne [sic!] with a concentration in sound studies and received a graduate research grant for archival work in Southern California. Presenting original research at several national and international conferences, Emily has given talks at the conference of the International Association for the Study of Popular Music, the Music and the Moving Image Conference at NYU, Song, Stage, and Screen XI, Sounding Out the Space at the Dublin School of Creative Arts and the national conference of the American Musicological Society. Emily dances with the Modet Dance Collective, and has also choreographed work for the company. 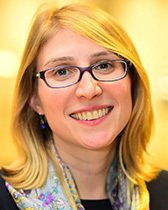 At Northwestern, she has served in leadership roles for the International Student Orientation, Graduate Leadership and Advocacy Council (GLAC), and the New TA Conference. She served as a Teaching Consultant for the Searle Center, receiving a teaching certificate through Searle in 2016.